Here's a set of 50 sample questions for the PMP exam. After you review the questions, please post your review comments and help your fellow PMP aspirants. Not a good site, has a lot of questions but a lot of the answers posted are wrong, and the questions are not put too well either. Thanks for your feedback. It will help other PMP aspirants pick the best exam prep resources. I'm thinking of implementing some sort of a rating system where PMP aspirants like you rate the sample exams. Could not find answers to the sample test either. Where are they posted? I think you can ignore this set based on the feedback above. It isn't worth the time and effort. 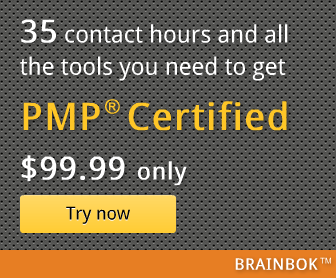 Refer to 6500+ Free PMP Exam Sample Questions for more sources.